So here we are leaving Chicago. First of all, I have to say that I had such a blast. I haven’t been on a “girls” trip in I don’t know how long but I enjoyed EVERY second of it and have no complaints. I love all these girls to the core and do enjoy their company. Although I still don’t understand why Jenny thinks Erika “attacked” her. Erika did not attack anyone but herself. She really had held so much in for so long and finally exploded. My thought is Go Erika!!!!!! Get your backbone back and don’t let anyone bring you down. It broke my heart that morning when I saw Erika so distraught and broken… for speaking up for yourself? I can tell you that today Erika is a new, confident, mesmerizing woman who has a lot to give. I wont let anyone in our group make her feel “less-than” anymore. Sarah’s recording session was so bittersweet. Take a moment and listen to the lyrics. You too will feel the pain and yet the growth she is going through. I couldn’t imagine being in her shoes right now but Sarah knows we are all here for her anytime/any day. “Leave Out the Lonely” is the beginning of her new life and she is pulling it together, one day at a time. Sarah’s music has become a type of “girl’s anthem” and I adore her for it. You go girl. ROCK ON!!!! I want Jenny and JT to have another baby so badly. It would be easier mentally on Jenny if Hank had a sibling whom he could play with and not be alone. Take it from me - I had more than 1 child because we couldn’t be the sole entertainer in our son’s life. Although more work at first, it’s the best pay off. Plus I want to be the new baby’s Godmother. LOL! I can’t say enough about Cassie. Talk about the rock of the group Cassie is. She is steadfast and loving. Comforting yet supportive and always willing to do anything for our group. I want to be Cassie in my next life!!!!! I am so glad she speared up the Agape Event. It’s not fun living in someone’s shadow like Gary or Raul so having a charitable outlet is always nice. Especially when it comes to animals. Like most of you we all share a kindred spirit when it comes to our pets and by the way, didn’t Gary look great!?! I would make-out with him! XOXOX Actually, they both looked great. I loved Cassie’s hair during the fashion show. Maybe I will make out with her too. Just Kidding! Now lets talk about what a team player my husband Raul is. He is such a great man and knows how to rock an ascot. Even in the summer. Can you say HOTT!!!!!!!!!! He was so nice to allow Ana and I to “play” out the date. I secretly think he thinks “Please someone else deal with what I have to go through on a daily basis…Viloceraptors. Brent the date was even a better sport. I vote he be the next Bachelor. The “blind-date” was such a blast. I literally felt like I was in High school again. Especially when I had to “duck” in the car and hide. I deserve an Oscar for that performance. What the camera didn’t show was Ana constantly poking her head around the corner or above the booth. She tried to break my concentration but I didn’t let her! It was so funny to me that I was able to talk “construction” to Brent. Ana has a thriving glass and glazing business and I guess through osmosis I’ve retained conversations which I have overheard her having. I love, adore, and respect Ana so much. She has always been my rock and my substance of life. I would swim across the oceans, walk across the deserts for my twin sister Ana. She completes me. Yes we fight a lot but our love is stronger than anyone can imagine and I thank God every single day that he gave her to me. I wouldn’t want to be on this earth with out her. I love you Ana!!!! My BETTER half. It’s hard to believe we are already six episodes into this adventure. As you surely know, there is so much that gets filmed that never makes it to the public. Hopefully, the deleted scenes will be posted somewhere. There are moments that I’m grateful that found its way to the cutting room floor and regrets no one will be able to see, but overall, watching each week with all of you has been more or less painless. This was one of the more difficult episodes for me, as it brought out so many things to the surface. And what most people will never know is what did not get shown on the episode. I thought it only fitting that this week kicked off with Ana’s “Truth or Dare” party. My friends know me well and know how I feel about telling the truth. But the word truth is misleading – what it’s really about is honesty and integrity. I kept feeling these emotions boil up from scene to scene, so I figured this week’s blog, it’s time for me to be totally honest. I apologize in advance if I hurt anyone’s feelings, but I think it’s essential to put it out there. Let me start by saying that everyone needs a Tina Brady in his or her life. She is encouraging and loving, unconditional and motivating. She exudes confidence and femininity while being compassionate and understanding. Tina is a force to be reckoned with – she’s a true renaissance woman. Watching this episode, I was so happy to see her nurture and dress Sarah, especially in this difficult time Sarah is going through. What an amazing friend she is. Tina lifts you up when you are down. We all need friends like her!! Not to mention that CLOSET OF BLING!!! The truth or dare party was confusing to me. I felt as if we were all being set up to fail. You know those ‘damned if you do, damned if you don’t’ situations. Well, this was one of those. As a group of ladies, these are the moments that you should be able to be honest without anyone passing judgment. After all, it’s for fun and games… and drinks & laughter! But if I want to share my truth with you I don’t need a truth or dare party as a vehicle for my honesty (as witnessed in the bus ride later). I will always shoot you straight anytime, anywhere, any day. It’s true in life, and especially at this party, that people like to try to make others fit into the mold of their life. Trust me when I tell you that no good will ever come from that. I respect Erika’s need for privacy and I feel she did share (in some moments that did not make it into the show). I didn’t like that her answers weren’t sufficient for some of the other ladies. Will you all please lay off of her already?!? In other moments of the party, Ana says that if you are married to a “star” you can’t be yourself? In my opinion, that is a bunch of BS! Oh, and this is something you should know about me – all that talk of pooping on the bus…really? Obviously, everyone does it, but if you are ever around me, my number one rule is NEVER burp or fart in front of me! – Ooh! Gross! It was totally out of left field when Jenny asked me about my relationship with my husband Raul. Don’t ask me a question if you can’t handle the answer and furthermore, don’t judge or criticize me for it. Yes, Raul and I have been married for over 2 decades. Yes, we have had our own trials and tribulations, but we chose to stay together. In doing so, we have become stronger for working our way through them. Maybe that’s the Latin way *shoulder shrug*. I cannot bring up past mistakes over and over nor hold judgment for them… what good does that do? The past is just that, THE PAST! No one wants to relive it, especially if isn’t a good memory. It works for me and my marriage and that is all that matters to me. I don’t care what anyone thinks or assumes. My husband and my three children are my world. I hated to have what was supposed to be a fabulous getaway to one of my favorite cities dampened by this. Chicago is a very special place to me. Fun fact - Raul and I were actually married there 20 plus years ago after losing everything during Hurricane Andrew. Raul’s manager at the time, Frank Callari, was his best man and country singer, Trisha Yearwood, was my Maid of Honor. We all wore black. It was a blast. Again, that was 20+ years ago. When you are married that long, then come talk to me. Until then, don’t judge! Speaking of judging. . .
Why in the hell does Jenny think Cassie is unauthentic?? She is as honest as anyone could be. Just because she’s always nice and pleasant, she’s not being real? Honey, not everyone is abrasive all the time. Jenny’s “TBD” friendship comment was a first class insult. I never thought anyone was acting pious or better than her; everyone was being as honest as they were willing to be and willing to share. I was forced to come to Cassie’s and Erika’s defense and would gladly do it again if need be. But let me say this – it was not an ‘attack’ on Jenny, it was a defense of the other ladies. Watching when Jenny meets Sarah in her room, I really got upset. Jenny states that she felt I attacked her. Attack? No. Calling her out on being rude? Yes, I did. I will not sit there and watch defenseless women become entrapped in someone’s judgment. She also begins to discuss what I said on the bus about my relationship. WTF, Jenny?!? That was for me to tell Sarah not anyone else. It’s funny how you can tell Ana that Sarah’s divorce isn’t your business to tell, but you happily discussed MY business. I almost felt like I was the topic of that afternoon’s gossip and I don’t like that AT ALL!!!! Sarah’s show was such a highlight. You literally felt her regaining her self-esteem and feminine power as she performed on stage. I will rally around Sarah always. Sarah is a kind and loving spirit and she knows that I have her back. She deserves all of the world’s treasures offered to her. Despite how it may appear, I also do like Jenny. She is a strong empowered woman. She is a larger than life kind of person and that’s why I told her to be careful the way she says things. I was NEVER trying to hurt her feelings, just trying to be honest and helpful. I think she needed to stop and see how others viewed the situation. All I was trying to do was explain to her that different people need different ways of communication. So I was impressed when Jenny “mothered” Erika by trying to feed her. I do believe Jenny wants to forge a friendship with Erika and is actively pursuing that bond. But Erika finally had had enough. Who wouldn’t blame her? Unfortunately, when you get to that point, you aren’t understood the way you want people to understand you. That’s why I always say “SPEAK YOUR TRUTH”. Say what you mean and mean what you say. Don’t hold back because you might not get a second chance! What I didn’t discuss in my TNT blog was that Ana and I had a blast in Chicago. We haven’t gone out on the town like that in such a long time. 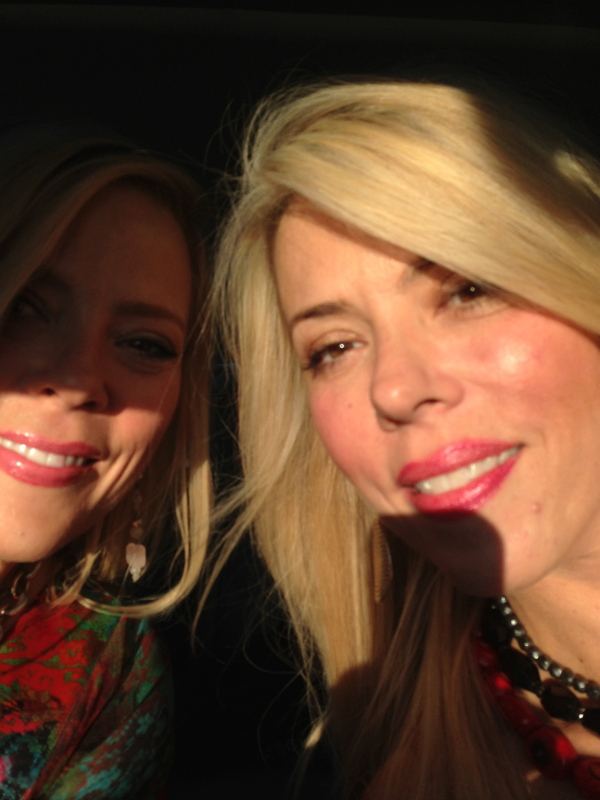 It was so much fun to enjoy my twin sister after all the chaos of the Manuel Fashion Show. 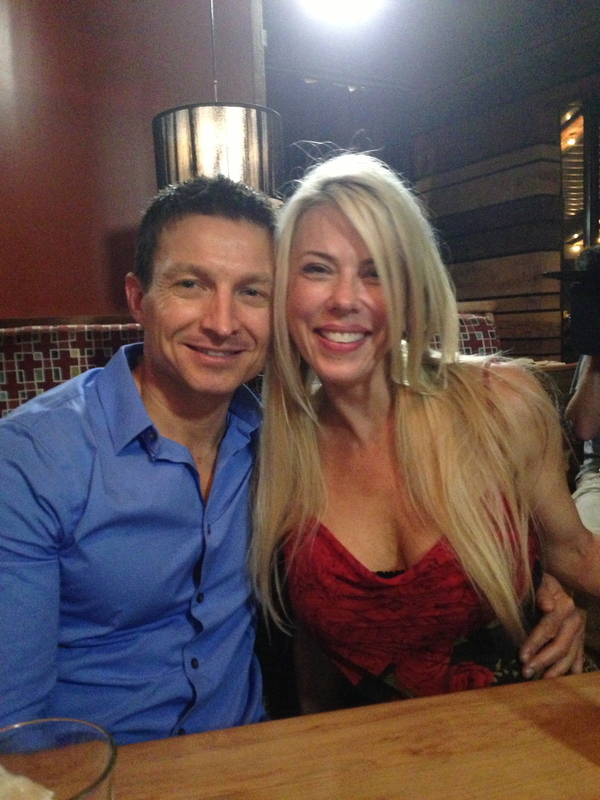 Although, next week it gets a little crazier with her Match.com date…. or mine.... Oops! *spoiler alert* !! Thank you for taking the time to read my recap on last night’s episode of Nashville Wives. Don’t forget to enter the contest to win a $500 shopping spree here on BettyBadd.com! See our contest page for details.